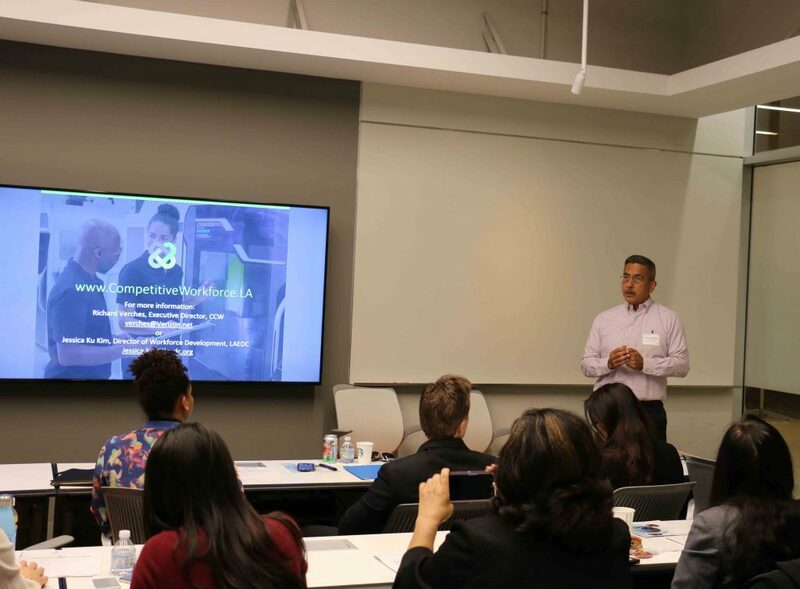 (Los Angeles, CA) On March 22nd, 2019 the LAEDC and the Center for Competitive Workforce (CCW) co-hosted the Bioscience Workforce Council Meeting at the LARTA Institute, in Downtown Los Angeles. Here are the latest accomplishments worth celebrating from our region’s Bioscience industry. Rohit Shukla, Chief Executive Officer from LARTA, echoed the idea of celebrating connectivity, entrepreneurship and how different organizations can share common goals. The Larta Institutes’ mission to vastly improve the transition of science and technology breakthroughs from the lab to the marketplace felt especially poignant in the presence of so many worth accomplishments to share. There is much more we can still do and whether you’re an entrepreneur with a great idea, a large company looking for a pulse on innovation, an institution seeking to unlock the value of discoveries, or an investor with a keen eye for talent, you belong in Larta’s network. 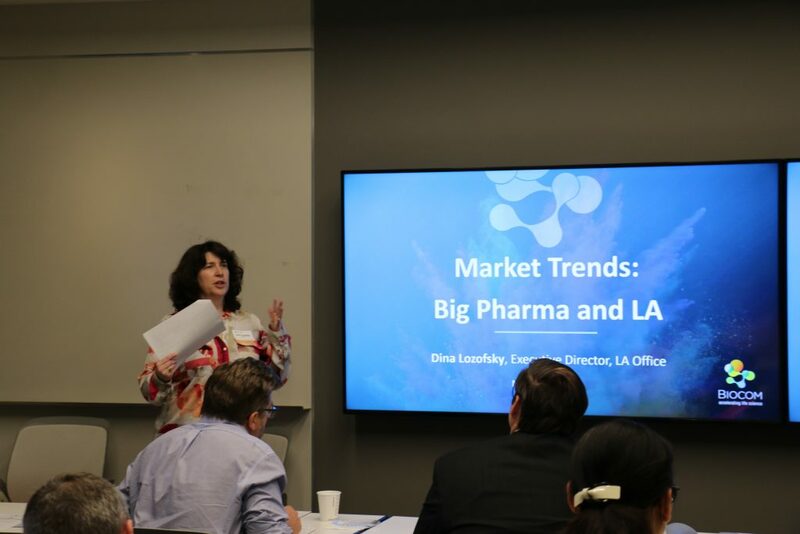 Biocom’s Executive Director, Dina Lozofsky focused on ‘BioLA’, a $750,000 Big Pharma initiative in the LA County region. This effort would help bring entrepreneurs together and promote the formation of new bioscience businesses. Overall Dina emphasized the importance of making students aware of such opportunities in LA County so they are motivated to become future contributors in the field. Metting supply becomes increasingly more difficult if the demand is evident, and programs like BioLA are vital to highlighting emerging opportunities for prospective future professionals. As students inevitably begin to choose their career path, are we all doing enough to provide them with adequate information and choices to choose a career which will maximize their potential? Overall the responsibility falls on the entire ecosystem to highlight growing demand and opportunity to the future workforce. Visit biocom.org for more insight into the great work being done by Dina and her team! 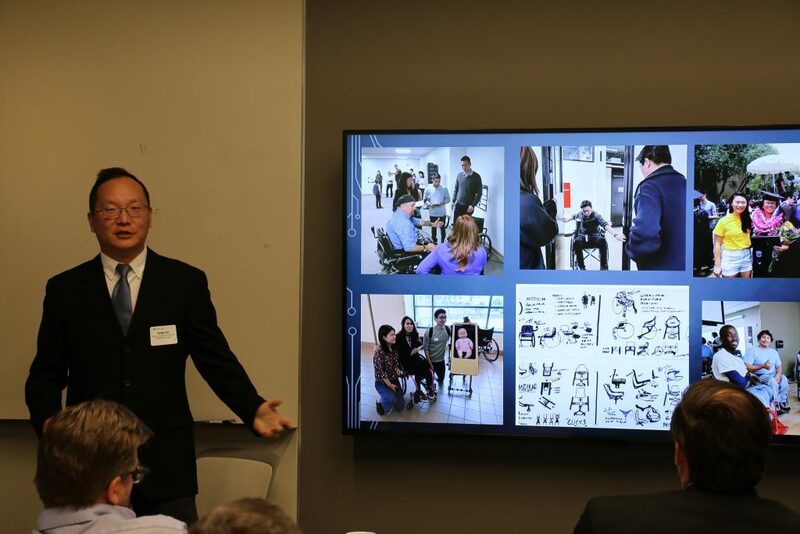 From stroller attachments for wheelchairs, to assisting patients with spinal cord injuries to learn walk again with the help of magnetic fields, to providing potentially expensive speech and communication resources at no cost to patients: Rancho’s top minds in bioscience are spearheading a slew of innovations. 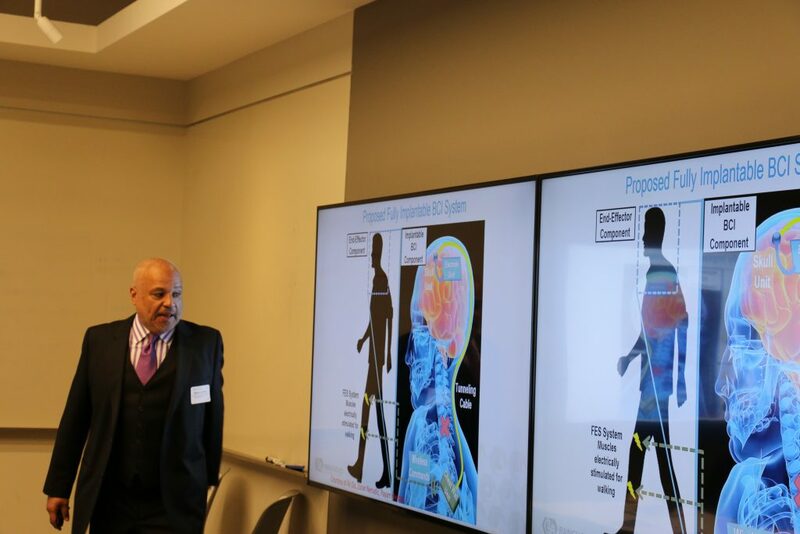 While these new advancements are on the horizon, both Barry Jordan’s, Chief Medical Officer of Ranchos Los Amigos National Rehabilitation Center and Andy Lin, Director of Rancho Emerging Technology Lab made it clear that such initiatives are only possible with the help of scientists who make a conscious effort to bring their expertise of tech and engineering to the bioscience sector. 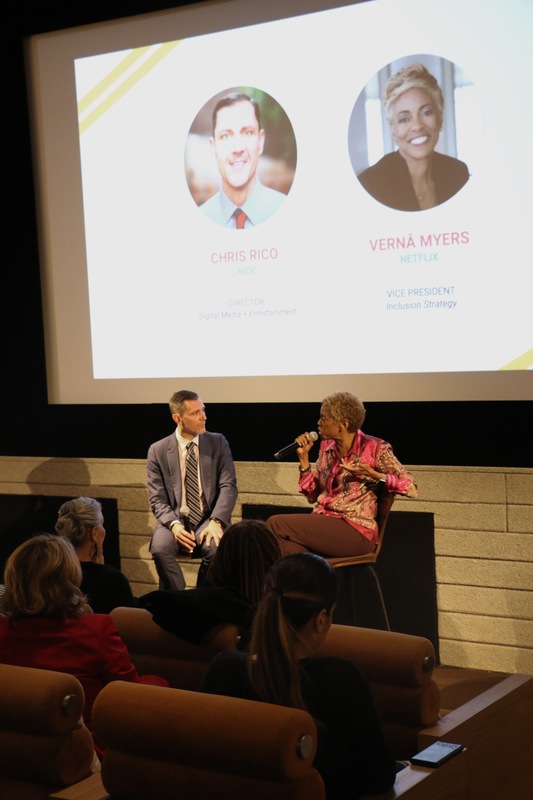 Cathryne Cooper from The West Coast Consortium for Technology and Innovation in Pediatrics emphasized on the scarcity of biotech innovations in the field of pediatrics. “Not only do pediatric devices lag behind adult devices by 15 years or more, but less than 10% of U.S. healthcare dollars are also spent in Pediatrics, not to mention additional obstacles from insurance and otherwise,” said Cooper. While robotics and bioscience innovations grow rapidly, we need to separately focus on innovating specifically for children. “Over one-third of the population is under the age of 26, said Cooper. “A child’s anatomy doesn’t exactly resemble that of an adult, we need innovation specifically tailored to match the health needs of our young patients. 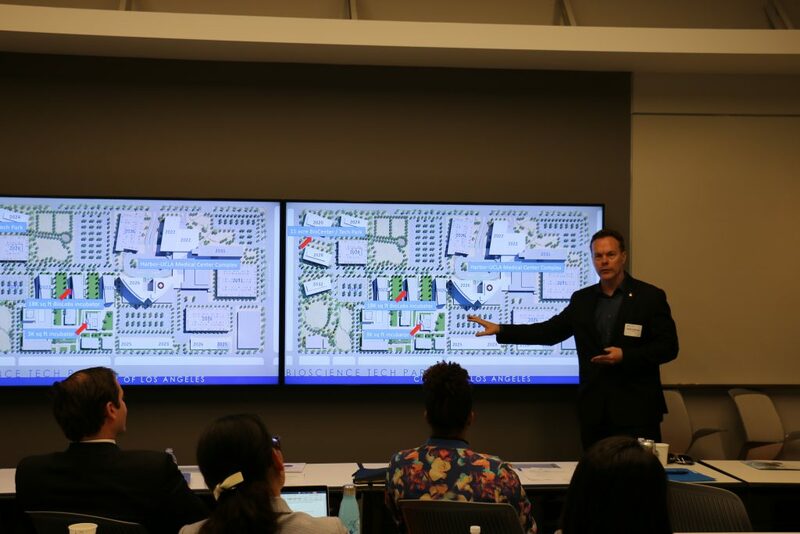 Just this past month Keith Hoffman and the LABiomed unveiled a brand new 18,000-square foot facility Located in a $65-million research building at LA BioMed next to the Harbor-UCLA Medical Center in Torrance. The facility will house state of the art office and lab facilities, undoubtedly a sizeable catalyst for the region’s Bioscience industry. See more on the Biomedical Research Institute at labiomed.org! 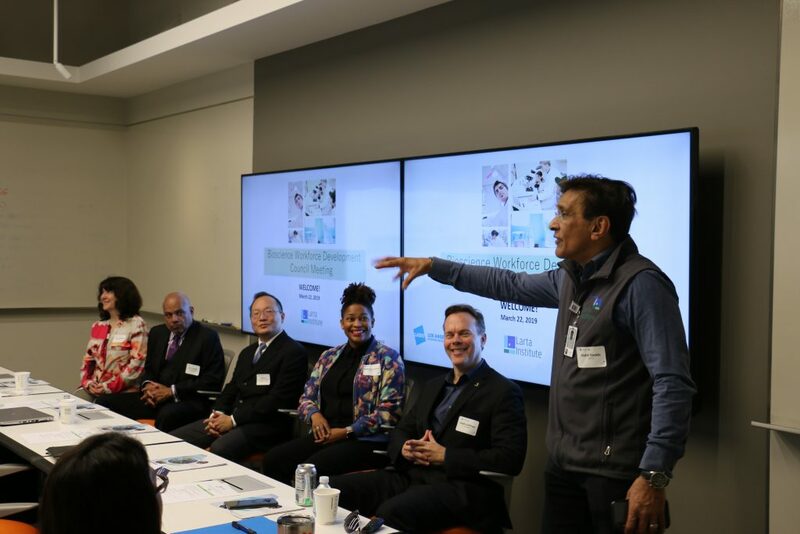 Truly inspiring to see all of the latest and greatest from bioscience leaders in our region at our recent bioscience and workforce development council meeting co-hosted by The Center for a Competitive Workforce (CCW)! So many great things on the horizon from life-altering innovations to future facilities in development, it was an honor for us to be in the room with so many brilliant minds to celebrate some truly worthy accomplishments. Special thanks to our hosts Larta Institute and Rohit Shukla, and our speakers, Dina Lozofsky, Dr. Barry D Jordan, Andy Lin, Kathryne Cooper, Keith Hoffman, Brian Cronin, Rahul Singh, Carolyn Hull, Richard Verches, & Jessica Ku Kim.